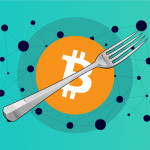 With the SegWit2x bitcoin fork failing to pull through, a search for a better alternative to bitcoin has led to an increased support for existing forked versions of bitcoin (bitcoin cash and bitcoin gold), as well as the creation of new, more developed forks of bitcoin. 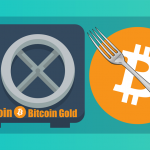 To this end, there is now a new addition to the family of bitcoin forks – Bitcoin Diamond (BCD), born on November 24, 2017. Bitcoin Diamond is a bitcoin fork that occurred at block 495866 of the bitcoin blockchain. Bitcoin Diamond was launched by two teams of miners – Team EVEY and Team 007 who felt unsatisfied with the flaws of Bitcoin (low transaction speeds, high transaction fees and low privacy protection) and worked together on the Project to create Bitcoin Diamond. How to get bitcoin diamond? Every owner of bitcoin before the Bitcoin Diamond fork would receive 10 times as much Bitcoin Diamond after the fork. This means that if you had 1 bitcoin before the fork, you’ll receive 10 Bitcoin Diamond after the fork. 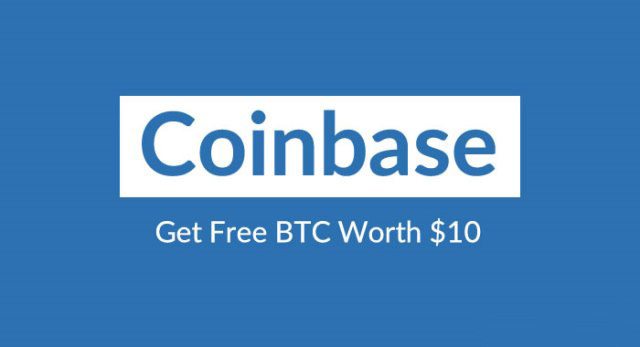 Buy from any cryptocurrency exchanges which will enlist Bitcoin Diamond. As reward for Contributors in the ecological construction of BCD. Protection of Privacy: This will be achieved by encrypting the amount transferred and wallet balance of customers. Fast Transaction Confirmations: Achieved by increasing the block size to 8mb, thereby making the speed of generating blocks five times faster, and consequently increasing the speed of transaction confirmations on the blockchain. Lower the Cost for Participation Thresholds: The total amount of Bitcoin Diamond was increased to 210 million (10 times the amount of bitcoin or previous bitcoin forks which have a maximum supply of 21 million), which will reduce the transaction fees and the cost of participation. 1. 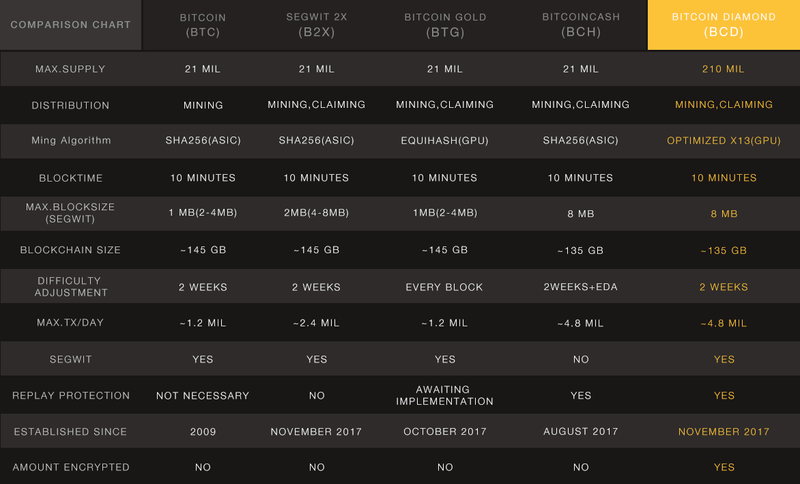 Unlike previous forks of bitcoin, Bitcoin Diamond had very poor publicity (mostly just discussions in bitcoin gold forums and slack channels). 2. The project was quite quick, with the fork built within just three weeks. 3. No public code has been released or submitted to GitHub repo yet, so the genuineness of Bitcoin Diamond is still very much in doubt. 4. There is no clear indication as to the team members in charge of the project. 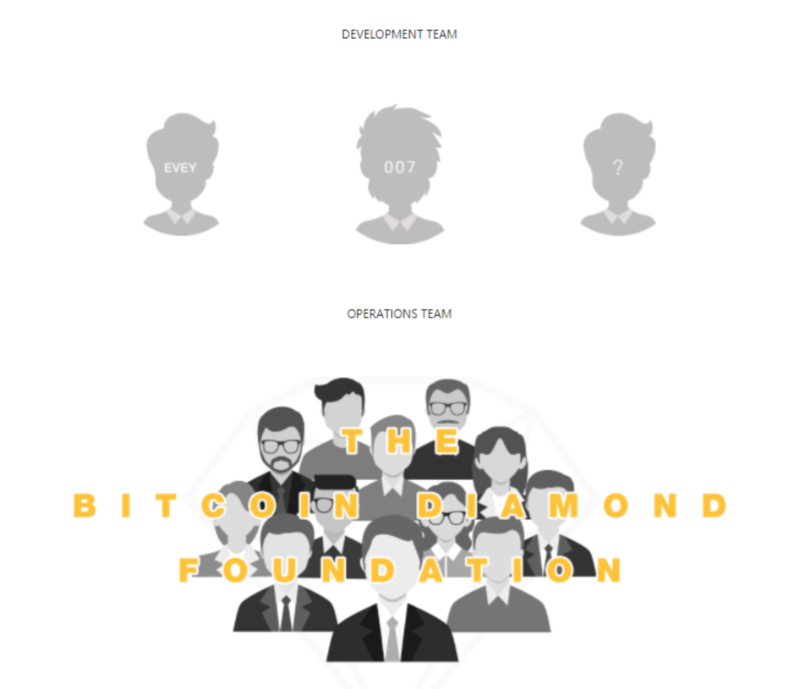 The website just makes reference to Team EVEY, Team 007 and the Bitcoin Diamond foundation. 5. 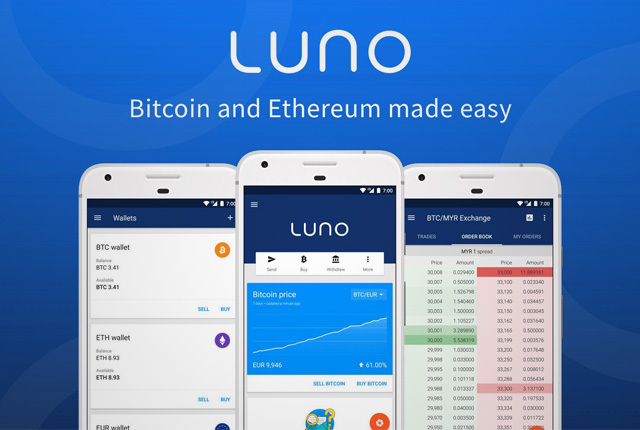 After placing a list of supported third-party wallets on their site, they wasted no time in absolving themselves of any responsibility regarding these wallets. 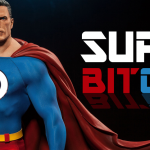 Funny enough, there are no major bitcoin wallet providers listed, except for BitGo, which has not yet officially announced it will support Bitcoin Diamond. 6. 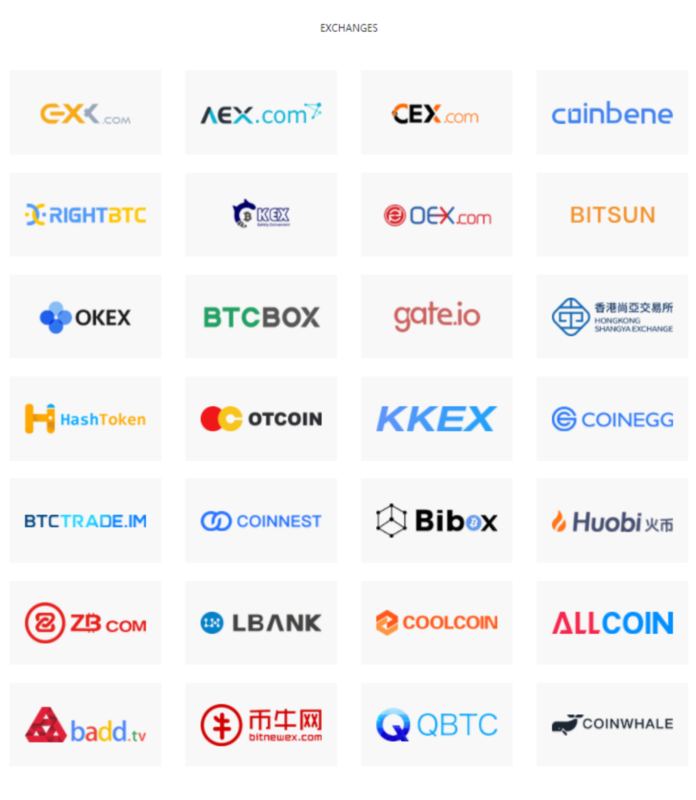 There are no major exchanges in their list of supported exchanges. This definitely calls for some concern. Look well before you leap! 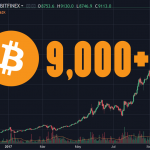 2017 has been a very profitable year for Bitcoin owners due to the several forks which have led to bitcoin price appreciating several folds, as well as the free coins they receive with every successful fork. However, bear in mind that with every successful fork comes new scammers ready to steal the bitcoins of impatient bitcoin owners. 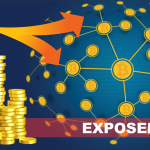 Rather than wait for notable bitcoin wallet providers to add support for the new forked coin, they fall victim to scam wallet providers who claim to be able to help them quickly retrieve their newly forked coin, but rather use the scam wallets to steal their private keys and gain access to their bitcoins. Also, with China’s ban on ICOs, bitcoin forks seem to be the new strategy being employed to generate funds. Even though Bitcoin Diamond proposes a lot of mouth-watering benefits, there are obviously a lot of concerns that the development team needs to address. So, for any investors with plans to invest in Bitcoin Diamond, I’m not saying that Bitcoin Diamond is a fraud or that the team won’t fulfill their promises, I just pointed out the obvious facts surrounding the project and advise that you approach with caution. Investing in cryptocurrencies is quite risky, try to always stay safe.